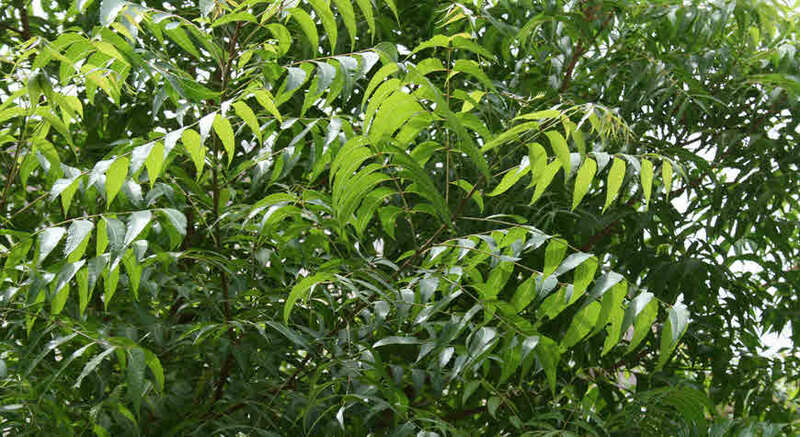 Neem is one of the most important Tree in Ayurvedic medicine system. Learn what are it's health benefits and how you can use this to treat different diseases. Know some amazing home remedies of Neem leaves. Neem is a versatile medicinal tree. It is a wonder tree that is used for treatment of diseases for centuries. Various scientific studies done of Neem has supported the medicinal use of this evergreen tree. Neem leaves are easily available throughout the year. These contains various bioactive compounds such as Nimbinin, nimbandiol and have significant blood sugar lowering effect and thus useful in managing diabetes. The leaves are also effective in curing dermatitis eczema, acne, bacterial, fungal infections and other skin disorders. Neem leaves are general antiseptic. The leaves are good for blood circulation and blood purification. Neem leaves have antidiabetic, antihyperglycaemic, antifungal, antimalarial, antibacterial and antimicrobial properties. Neem leaves has emmenagogue (stimulate blood flow in the pelvic area and uterus; stimulate menstruation), anti-implantation, spermicidal, anti-sperm and antifertility effect. The oral administration of aqueous extract of neem leaves leads to decrease in fertility in mice. Neem leaves are used in the treatment of innumerable diseases. Some of the common medicinal use of neem leaves are given below. Drink 5-10 ml fresh Neem leaves juice daily. Take Neem leaves and Ber leaves in equal amount. Make a fine paste and apply on scalp for one hour. Wash off with plain water. Boil Neem leaves in water. Use this water for hair washing. This has antibacterial and antimicrobial effect. Prepare decoction by boiling Neem leaves in water. Use this water to wash hairs. Extract juice of neem leaves and apply on the face. Apply neem leaves juice or paste. Mix neem leaves juice in yoghurt and apply on the affected body part. Extract neem leaves juice. Apply on the affected body part. Apply thick juice of neem leaves. Take dry Neem leaves powder. Add some water. Strain this juice through a clean cloth and apply the juice. Apply fresh neem leaves juice like kajal. Fry 10 tender neem leaves in ghee and eat. Grind 25 grams of neem leaves. Mix in one cup water. Filter and drink 50 ml of it. Mix Arusa leaves juice (20 ml) with Neem leaves juice (20 ml). Add honey and drink twice a day. Take neem leaves and ajwain in 1:1 ratio. Grind to make paste and apply externally on temporal region. Burn dried leaves of neem. Take 4 grams of neem leaves powder 3 times a day before each meal. Neem tea is beneficial for overall health. When taken for a month Neem tea helps to lower increased cholesterol levels. This tea is also helpful in preventing kidney and the liver problems. Take water (250 ml) in pan. Bring it to boil. Add neem leaves and black pepper in this boiling water. Cook at low flame for a few minutes. Strain tea and drink hot. You may add honey as per taste. If you are diabetic then avoid adding honey or sugar.